Customer notice: we’ll receive a commission from Amex if you apply for a card via a link in this article (read more in our Credit Cards Disclosure). This income helps keep the site running, and we thank you for your support. Here’s a very enticing deal for business owners: American Express has boosted the sign-up offer for its leading Qantas business card to a massive 120,000 bonus Qantas Points. 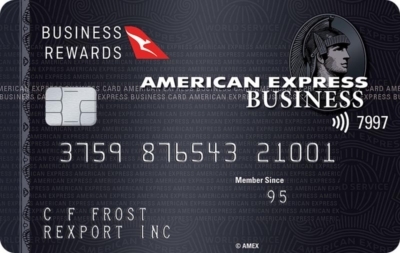 Designed for business owners who love to travel, the American Express Qantas Business Rewards Card offers a very high points earn rate on spend, triple Qantas Points for flights, Qantas lounge passes, insurance covers and features to save cardholders time and money. 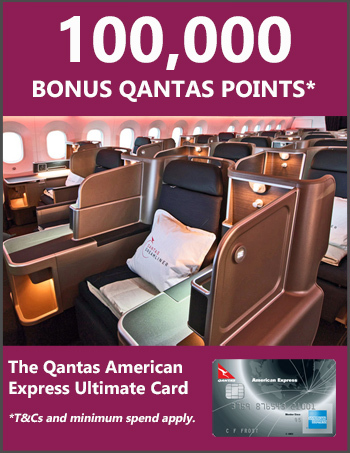 120,000 Qantas Points is an epic deal: it’s enough to fly with Qantas in economy return to New York or London or in business class to Asia (more on that below). Here’s an overview of the card benefits and features, with more details and a mobile-friendly application form on Amex’s website here. Cardholders earn 1.25 Qantas Points per dollar spent on purchases (uncapped) – a very strong earn rate. For Qantas products and services, the earn rate is 2 Qantas Points per $1 spent, while with utilities, government bodies and non-Amex issued insurance, you earn 0.5 points per $1 spent. The points are credited to your business’ Qantas Business Rewards (QBR) account. QBR is a program that rewards small and medium businesses with savings on flights and points on everyday business purchases. Membership is complimentary with your card. From your QBR account, you can transfer points to any Qantas Frequent Flyer member including yourself, your employees or your family members – giving you a lot of flexibility with how you use your points. You’ll earn Qantas Points and Status Credits like any Qantas Frequent Flyer when you fly with Qantas. On top of that, you’ll earn triple Qantas Points on eligible Qantas flights booked with your card, up to 4 million points per membership year. Eligible flights are domestic or international flights with a QF flight number purchased in Australia and operated by Qantas, Emirates or American Airlines. Triple points are earned when anyone travels on flights booked using your card. 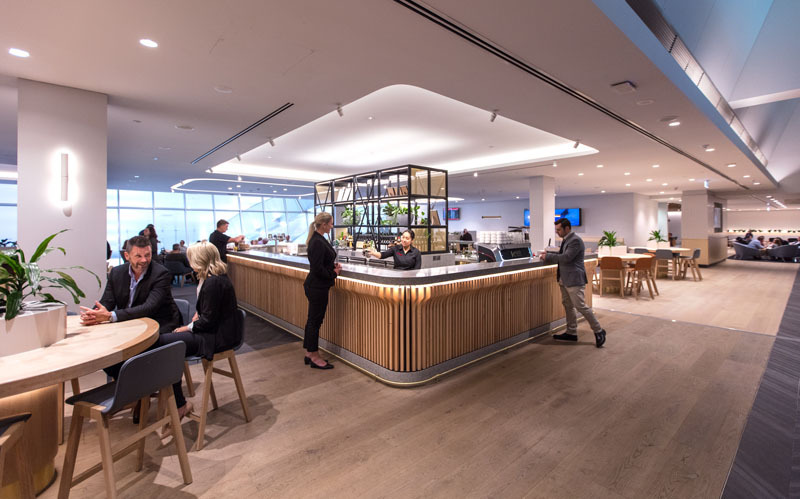 You’ll receive two Qantas Club passes each year, which will be triggered when you pay for an eligible Qantas purchase with your card. 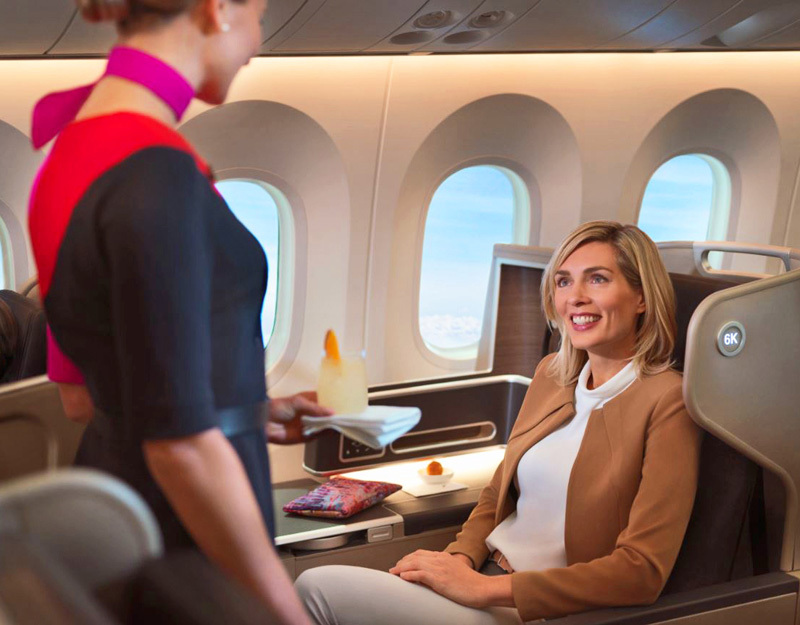 Eligible Qantas purchases are Qantas passenger airfares with a QF flight number purchased directly from Qantas Australia, and Qantas Frequent Flyer, Qantas Business Rewards or Qantas Club membership, joining or annual fees. You can use the passes for yourself or a travel partner, or easily transfer them to someone else. You’ll receive domestic and international travel insurance cover for you, your family and additional card members when you use your card to pay for your travel arrangements. Flexible Payment Option: you can opt to spread out payments for purchases (up to $35,000) over time. Enrollment is complimentary. integration with MYOB, Xero and other accounting software. Receive a massive 120,000 bonus Qantas Points when you apply online by 3 July 2019, are approved and spend $3,000 on your new card in the first two months. 120,000 Qantas Points can take you a long way: it’s enough for a return economy trip with Qantas to London or New York (up to 120,000 Qantas Points plus taxes) or two people could fly to Bangkok, Singapore or Hong Kong in economy return (112,000 Qantas Points total plus taxes). 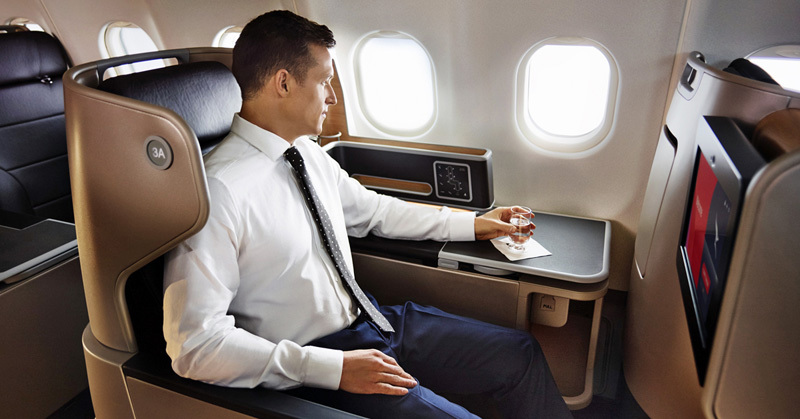 You could also treat yourself to an upgrade from economy to business class (120,000 Qantas Points one-way to London or New York; 50,000 Qantas Points one-way to Hong Kong, Bangkok and Singapore) or fly business class return to these Asian destinations (120,000 Qantas Points plus taxes). you’re an additional card member on someone else’s account (including a corporate account). The card annual fee is $450, which may be tax deductible (chat with your accountant). The minimum annual business revenue to qualify is just $24,000. Important: This article is not intended to suggest that you should apply for a credit product. You should seek independent, professional advice and consider your personal circumstances before deciding to apply for a credit product. If you apply for a card via a link in this article, we’ll receive a commission from Amex. This income helps keep our site running, and we thank you for your support. Read more in our Credit Cards Disclosure.